Welcome to our history pages. 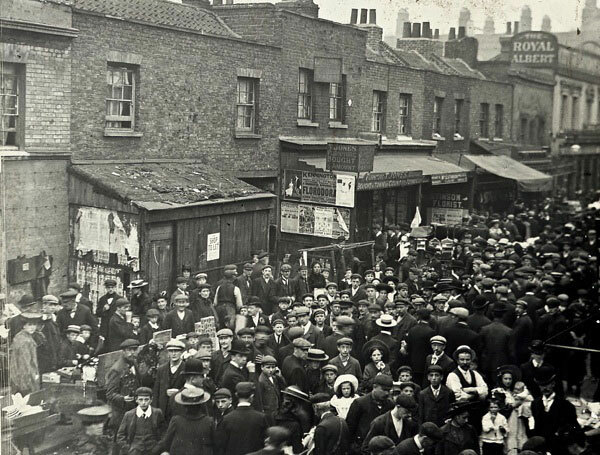 We have collected historical information and images about SE17 which reveal details about the area, the people who have lived here and the changes that have taken place in the area and the way those changes have affected of the local community over the years. 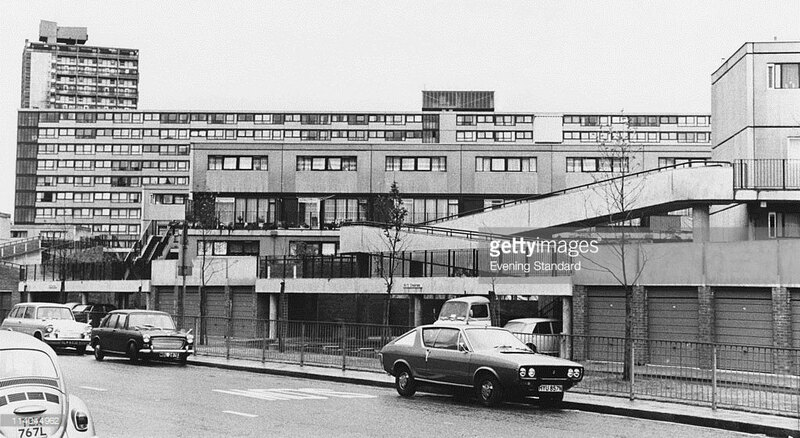 The estate was built in the late 1960s and early 1970s in the aftermath of a large slum clearance programme in this part of south London. There had been a proposal called the ‘Aylesbury Road Development Area’ planned for construction in the late 1960s. When the former metropolitan boroughs of Bermondsey, Camberwell and Southwark joined to form the London Borough of Southwark in 1965, the scope of the project was extended to include other slum clearance areas and a proposal for the 60 acre ‘Aylesbury Development Area’ was approved in 1966. At this time there was pressure to build homes quickly to help ease the shortage of modern dwellings and the majority of the blocks on the estate are constructed using the Jespersen large panel system. Industrialised building methods were in fashion at the time and the concrete panels were manufactured off-site and then assembled on site and this was quicker than traditional construction methods. The estate was built by John Laing Construction Ltd with an initial budget of £10,996,178. The homes were built in line with the Parker Morris standards which granted generous space standards and included generous allowances for storage and private amenity space. It also followed the principles of the modernist architecture movement with “walkways in the sky” – separating pedestrians from street level, which was to be the territory of the motor car and service vehicles – and the homes had modern services and amenities for the time. Initially the new residents welcomed the move from the antiquated homes the estate replaced and marvelled at the modern facilities, including the indoor bathrooms! But from the outset, the design was criticized for its large “dehumanizing” scale. The initial design proposal had been stripped back due to budget constraints and once built it soon became clear that it was going to be a challenge to maintain the whole estate. Parts of the estate were regularly vandalised. There were intermittent issues with the estate-wide district heating system, leaving residents without heating or hot water. There were also problems with the lifts in the high rise blocks. Increasing anti social behaviour led to the removal of some of the high level walkways and link bridges in an attempt to cut off escape routes. The estate had become a notorious example or urban decay. In 1999 the estate was awarded significant funding (£56million) as part of a 10 year New Deal for Communities (NDC) programme set up by the new Labour Government to tackle social exclusion and to improve the life chances of estate residents. The NDC made great strides in improving education attainment and the health of residents. There has been a reduction of crime and the fear of crime. The NDC also funded various construction projects including outdoor gyms, a community garden as well as significant funding in Burgess Park. In 2001 a proposal to transfer the management of the estate to a specially set up housing association went to the ballot and was comprehensively rejected by the residents. 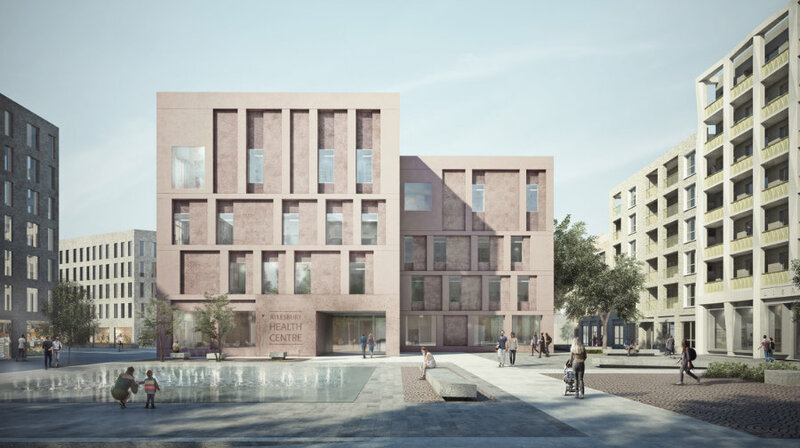 Following the no vote, Southwark council investigated the option of a part-retention/part-redevelopment scheme where some blocks would remain and some would be demolished to make way for new homes. This proved to be prohibitively expensive due to the large costs associated with bringing the old blocks up to modern ‘Decent Homes’ standards. In September 2005 the council made the decision to completely redevelop the estate on a phased basis and, in close consultation with the local community, established a planning framework called the Aylesbury Area Action Plan (AAP) that would act as a guide for the regeneration over the following 15-20 years. The first new homes on the estate footprint are now being delivered and Aylesbury residents are moving in. As the remaining blocks become empty they will be demolished and more new homes can then be built. Supporting this there has been significant investment in the local schools – Michael Faraday School and Walworth Academy have been rebuilt, Surrey Square School has benefitted from investment from the NDC and a new purpose built academy that will specialise in maths and science is due to complete in 2013. Burgess Park is being significantly remodelled and will reopen in 2012. In 2010 the NDC wound down and its successor body Creation Trust is a resident led community trust that will continue to support social and physical regeneration on the estate. 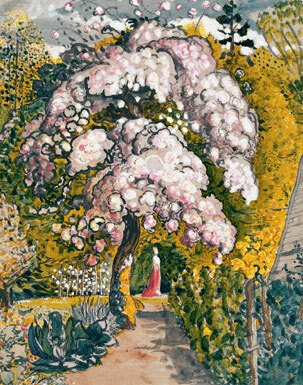 Samuel Palmer (27 January 1805 – 24 May 1881) was a British landscape painter, etcher and printmaker. He was also a prolific writer. Palmer was a key figure in Romanticism in Britain and produced visionary pastoral paintings. The magical, powerful and dreamlike qualities displayed in this watercolour were painted by Samuel Palmer, born in Surrey Square in 1805. Samuel decided to become an artist at the age of 13 and a year later was exhibiting at the Royal Academy. One of the most influential meetings of his life was his introduction to William Blake. Samuel joined a group of artists called “the Ancients” who rejected modern society in order to resurrect the spiritual values of earlier times. Samuel produced some of his most evocative works when living in Shoreham, Kent in a tumbled down property nicknamed “Rat Abbey”. Here he concentrated predominantly on rural landscapes and much of his work at this time was kept secret. He was also fascinated with clouds and produced a number of works such as the one below. He saw clouds as a symbol of the divine in nature. During his lifetime he produced many works, but was not highly regarded. 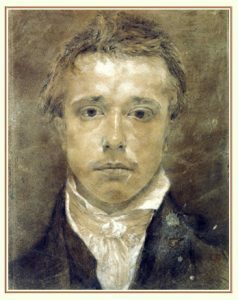 He supplemented his artistic endeavours by teaching, but earned enough from both to be able to travel at least once a year on sketching tours. He married an artist, Hannah Linnel and had three children, dying in 1881 as a recluse. Unfortunately his son burned a significant number of his works after his death at he felt they showed “unmanly” qualities which would damage his father’s reputation. Appreciation of his work gathered momentum after the 1930’s and Samuel is now recognised as a significant 19th century landscape artist who has had a far reaching influence on modern artists working in a range of mediums. 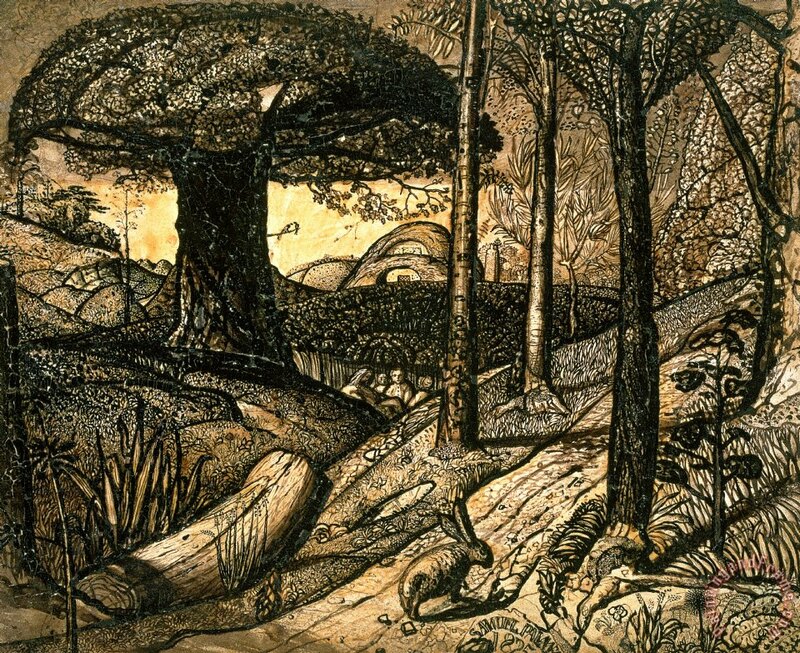 His popularity was such that his work was avidly copied by Tom Keating, the notorious forger who, in 1976 was committed for trial at the Old Bailey for being exposed as having produced a series of drawings supposedly executed by Samuel Palmer. The workhouse was built in 1850 in the hamlet of Walworth to replace an older workhouse belonging to the parish of St Mary Newington. The main building, at the south of the site, was a T-shaped layout with male inmates housed at the west and females at the east. At the centre were the dining hall and kitchens, with a laundry to the rear on the female side. A bake-house and work-rooms lay at the rear on the male side. A smaller complex of buildings to the north-west contained further sick wards and lock (venereal) wards, together with a mortuary and casual wards for the overnight accommodation of vagrants. The site was taken over in 1868 by the St Saviour Poor Law Union and became an infirmary. 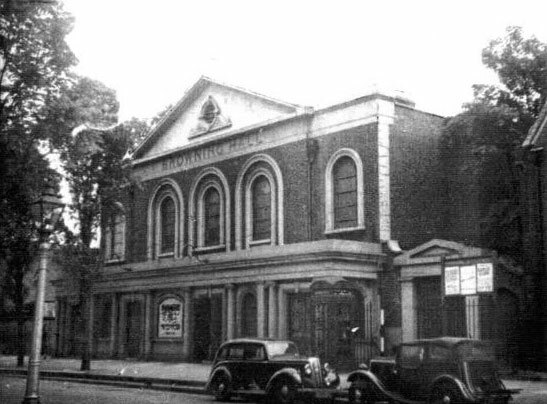 The Local Government Act 1929 abolished the workhouse system, and in 1930 Newington Workhouse became the Newington Lodge Public Assistance Institution, under the control of the London County Council, until the Poor Laws were repealed in 1948. 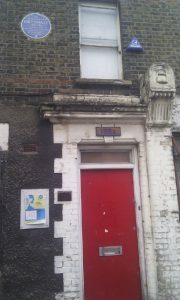 The premises were later used as short-term accommodation for homeless families, it then continued to be used as social housing by London County Council Welfare Department. 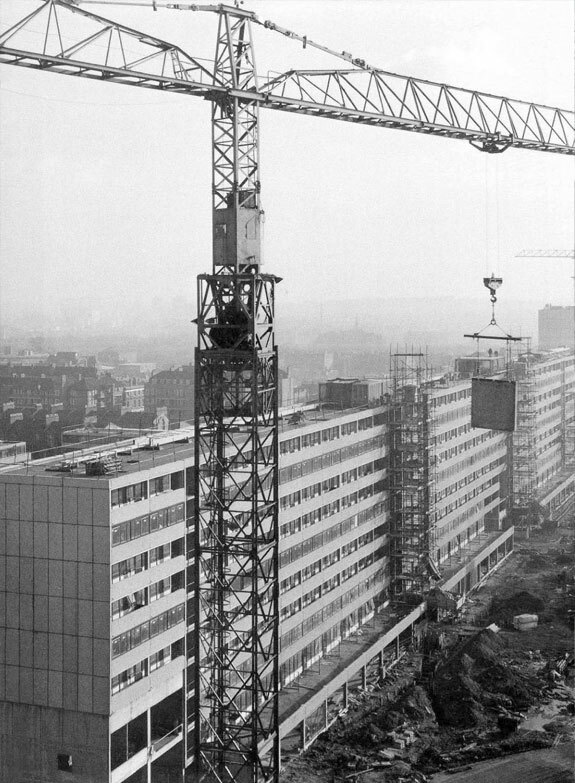 The building was demolished in 1969 and replaced by housing blocks forming part of the Aylesbury estate. The comic actor Charlie Chaplin spent a short time in Newington Workhouse in 1896 and the premises appeared in the 1966 television play Cathy Come Home. They were offered Newington workhouse where old folks had to sit on benches with no backs. East Street Market also known locally as ‘The Lane’, or ‘East Lane’, is a busy street market in Walworth in South London. It is open every day except Monday. Sunday is the busiest day as the market consists of over 250 stalls including the weekly plant market. It is large and vibrant and is good for African and Caribbean fruit and vegetables and household goods. The market also sells clothing, jewellery, cosmetics, confectionary, CDs and DVDs. There has been street trading in the Walworth area since the 16th Century, when farmers rested their livestock on Walworth Common before continuing to the city. 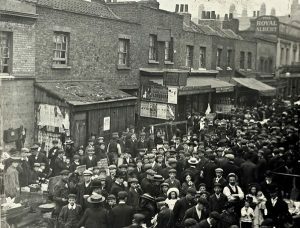 During the industrial revolution, stalls lined the whole of the Walworth Road, but the market has only been officially running since 1880.The market runs down East Street from the junction with Walworth Road to Dawes Street. The main entrance to the market is from Walworth Road. A bus stop on Walworth road serves the market, with a large number of buses arriving from Elephant and Castle or Camberwell Green. In the past you might have come across Prince Ras Monolulu and three generations of the Wallington family have had market stalls there. East Street is the birthplace of Charlie Chaplin and features in the title sequence to the television programme Only Fools and Horses. 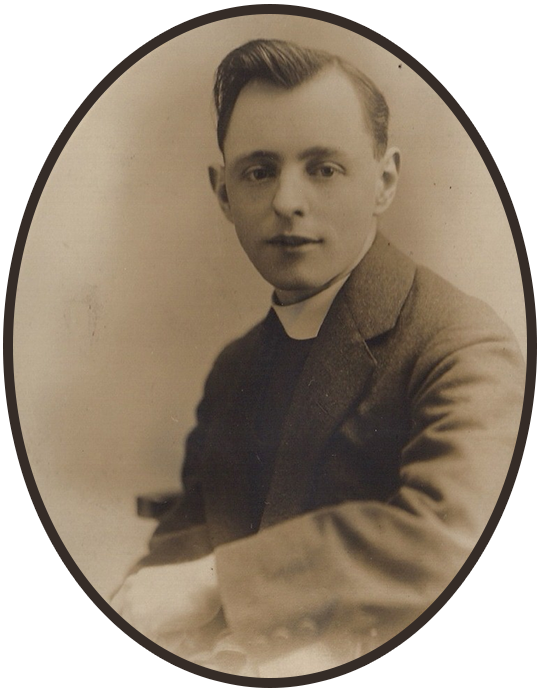 The Reverend Francis Herbert Stead initiated the campaign that won the Old Age Pension. He joined the Settlement movement which encouraged university graduates to live and work in deprived areas to alleviate the suffering of the poor, and in 1890 he become the warden of the Robert Browning Settlement in Walworth. The Robert Browning Hall (62 Camberwell Road) was in an area of considerable poverty and disadvantage. It was one of the poorest London boroughs with the highest proportion of paupers in the country. Stead organised a broad programme of recreational and educational activities. He was deeply affected by the suffering of the Poor and he dedicated himself to the cause of abolishing pauperism. Stead realised that charity itself was incapable of dealing with the needs of the elderly and believed that state pensions were the only solution. He organised a meeting at Browning Hall where the recently set up pension scheme in New Zealand was explained to over 400 attendees. Together with Charles Booth (the philanthropist and social researcher) further meetings were held around the UK and a campaign for a non-contributory old age pension was mobilised. Their endeavour was realised with the Old Age Pensions Act of 1908. Stead and his co-workers at the settlement developed a wide range of clubs and activities – one of which was the Goose Club (which was a savings club for Christmas groceries and which had over 10,000 members by 1908. Browning Hall also hosted a significant adult education programme (being the Walworth Centre of the London University Extension Society), organized the provision of country holidays, and made some early efforts in social work training. A number of different facilities were opened including the Browning Tavern – an initially well-used temperance ‘tavern’ that served meals and non-alcoholic drinks; and developed housing provision for older people. Other activities established at Browning Hall included a savings bank, legal aid, summer camps, a ‘Cripples’ Parlour (of which his wife Fanny Bryan was the head) and a Boys Brigade. He became a tireless campaigner around local public health issues and in recognition of this was elected Mayor of the Borough of Southwark in 1902. 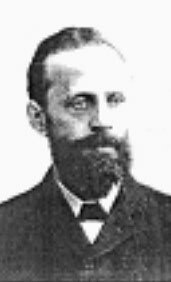 His brother, the campaigning journalist William Thomas Stead, died when the Titanic sank. The great shadow over Walworth is the poverty – a crass, sodden, dejected poverty, a precarious struggle to keep soul and body together – and pay the rent. The Grand Surrey Canal, originally named the Kent and Surrey Canal, was a canal constructed in south London, England during the early 19th century. It opened to the Old Kent Road in 1807, to Camberwell in 1810 and to Peckham in 1826. Its main cargo was timber. It closed progressively from the 1940s, with all but the Greenland Dock closing in the 1970s. Much of the route is traceable, as it has been turned into linear parks and many of the old bridges remain. London’s docks were rationalised in 1908, with the formation of the Port of London Authority. The canal was managed as part of Surrey Docks, and although there were few changes to its operation, it became known as the Surrey Canal. 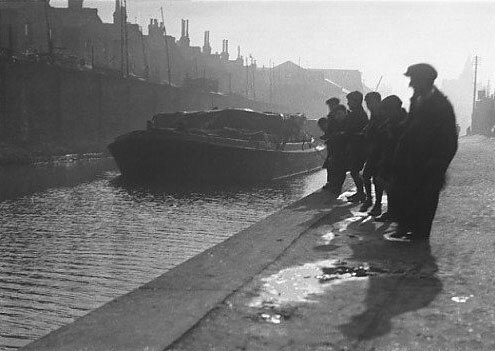 Use of the canal declined after the war and in the 1960s it began to be drained in response to concerns that children would fall in and drown. The Bank Rangers, a precursor to the transport police, operated along the banks of the canal. 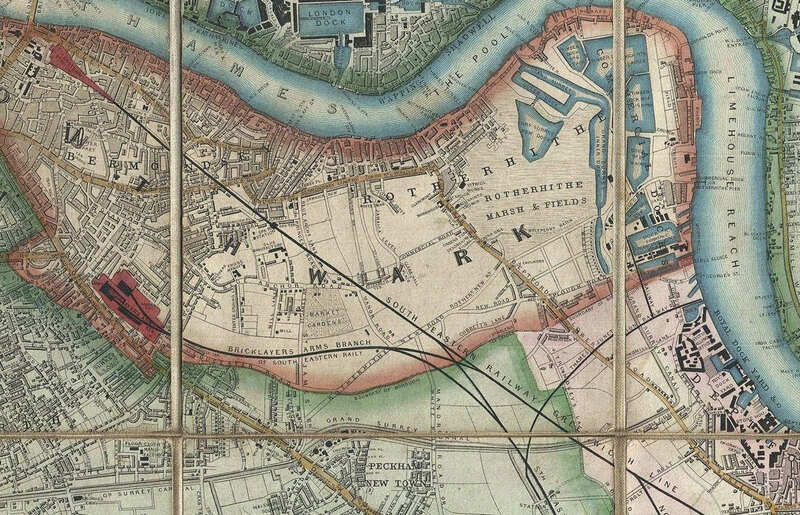 The former Camberwell Basin and the final 0.9 miles (1.4 km) now form part of the site of Burgess Park (the terminus was where the tennis courts are now located). Most of the Peckham branch, including its bridges and walls, is now a green walk. Peckham library has been built over the terminal basin and there is still a timber yard nearby which gives a hint of the past. Dr. Charles Vickery Drysdale and Margaret Sanger were advocates for birth control. This was the first family planning clinic. There is a plaque, erected in 1988, on number 153a East Street which is dedicated to Dr. Drysdale. It states: ‘a founder of the Family Planning Association, opened his first birth control clinic here in 1921′. Anyone who knows about Birth Control knows that it would do away with abortions, which occur in appalling numbers in America every year. Margaret Sanger was an advocate for sterilization of the unfit. At the time, she was a pioneer, attempting to clear the world of hereditary diseases and incurable states like epilepsy and mental retardation. Dr. Drysdale, a fellow birth control proponent, called her “the Joan of Arc and the Florence Nightingale of the birth control movement”. Sanger fought for more than the sterilization of the unfit, however. She was a friend to young mothers who feared a lifetime of giving birth, to older women who begged to not have any more children, and to women who had repeated miscarriages and unhealthy children. Women who needed to know what was going on in their own bodies appealed to Sanger for help. 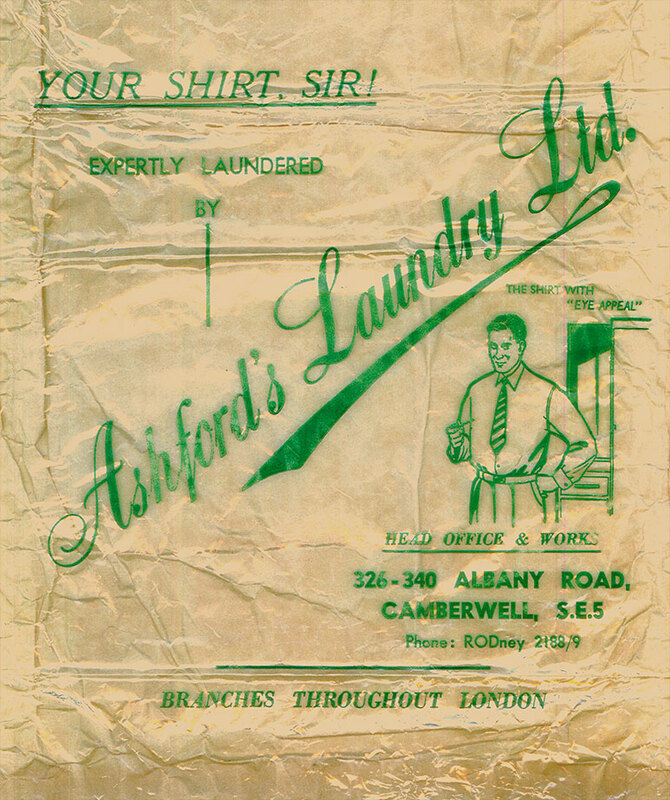 The head office of Ashford’s Steam Laundry was at 340 Albany Road, with the laundry facilities next door at 326 to 338. There were other branches throughout London. Each customer of the laundry used a laundry book. The customer would write down a list of every item that was being sent to the laundry that week. When it got to the laundry someone in a “sorting room” would check that the list was correct, marking each item, the mark was crossed through when the item was being packed for return to the customer. Between these two events the book would have gone to the office, each item priced and a total written in the book. The money was collected when the items were returned to the customer. 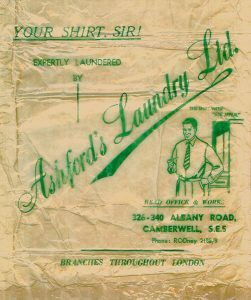 Customers who used the laundry service regularly would have a laundry book; others would send the washing in a parcel and receive it back in a parcel. Some of the jobs were seen as more ‘respectable’ than others. The girls from Ashford’s laundry were thought of as superior to the girls from Burtt’s, the whitening yards, and they often used to come to blows near the Dun Cow on the Old Kent Road. Download a copy of an original Laundry Book here. R. White’s is a brand of lemonade that has been produced for over 150 years. Robert and Mary White produced the first R. White’s lemonade in Camberwell, London, in 1845. The business grew so well that in 1891 the White family took over H. D. Rawlings Ltd., and then in 1894, R. White & Sons Ltd. was incorporated. The company was taken over by Whitbreads in the 1960s, and was later absorbed by the Britvic Corporation in 1986. R Whites lemonade is still produced to this day. The factory, located on Albany Road, was demolished to make way for more homes as part of the Aylesbury estate. He turned left into Albany Road and headed towards the Old Kent Road. Tom’s eyes were everywhere. He had never travelled this far away from home except for a summer holiday down the coast. He saw a factory with “R Whites” painted on the wall. ‘Is that the lemonade R Whites, Dad?’ he enquired. ‘It’s the very same, Tom, now, you don’t want lemonade do yer? You’ll be fit to burst,’ his father scolded. 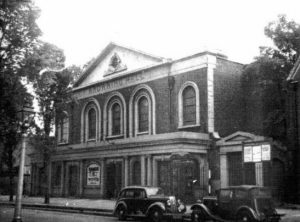 Clubland was the inspiration of The Reverend James (Jimmy) Butterworth who created the building complex, which contained a Methodist Church, a theatre, music and art workshops, a canteen, a gymnasium and a hostel. It began in 1922, in rooms below the Walworth Wesleyan Church, in south-east London, where the Walworth Road becomes Camberwell Road. Clubland – “The Temple of Youth” – was aimed primarily at young boys and girls and there were separate clubs for each. There was a principle of self governance, the club had a Cabinet and a Parliament, and Butterworth hoped this would confer a sense of responsibility onto the members. He remained instrumental in the running of the complex as “The Head” and was adept at drawing in support and funding from celebrities to keep the club going. 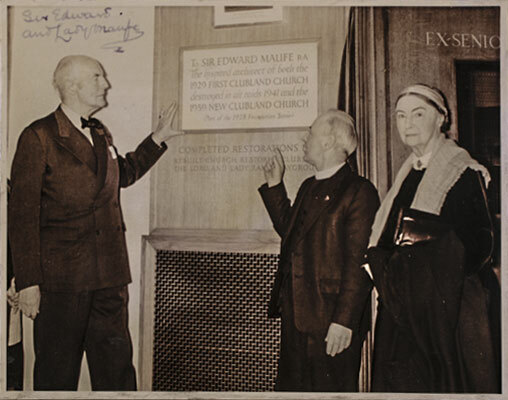 In the 1930’s the old church was pulled down and the buildings for girls and boys clubs – designed by Sir Edward Maufe – were open on 30th May 1939 by Her Majesty Queen Mary, who was the patron of Clubland for several years. The new church and several of the club rooms were destroyed just two years later by a bomb which fell during the second world war and on 18th May 1946 Her Majesty Queen Mary visited the bombed site to attend an open-air service which inaugurated the renovation programme. Following 25 years of effort the fully complete Clubland and hostel were opened by Her Majesty Queen Elizabeth the Queen Mother on 18th May 1964. Many famous people from show business and sport were involved in the renovation and development, including Lord and Lady Attenborough, Laurence Olivier, Vivien Leigh, Dame Sybil Thorndike, John Mills, Douglas Fairbanks Jr. and Sir Stanley Rous. Bob Hope was a very generous benefactor and visited four times (he was originally from south London). Bobbie Kennedy made his first public speech at Clubland at the age of 13, when his father was the US Ambassador. Michael Caine, who was born in the adjoining street, was a member of Clubland and his first acting role was on the stage in the Clubland theatre. The spirit of Clubland lives on today and the premises is run by the Walworth Methodist Church; the majority of members (over 500) are from West African families.